Physician, MLA (1937-1940), MLA (1941-1945), MLA (1946-1949). Born at Kemptville, Ontario on 25 June 1872, son of William Poole and Isabella Cranstoun, he was educated at Kemptville and Winnipeg. He moved to Neepawa where he practiced medicine. 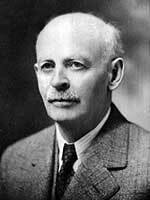 He was President of the Manitoba Medical Association (1915-1916), President of the College of Physicians and Surgeons of Manitoba (1925), and a member of the Dominion Medical Council. On 10 July 1905, he married Mary Elizabeth McFadden (?-? ), daughter of Moses McFadden of Neepawa. They had four children: Edith Mary Poole (1907-?, wife of H. Murray Hunter), John Cranstoun Poole (1911-? ), Alice Poole (?-? ), and William Robert “Bill” Poole (1918-2014). In 1932, he stood for election to the Manitoba Legislature but was defeated by A. J. M. Poole. He was elected at the 1936 general election, acclaimed in 1941, and re-elected in 1945. He died on 29 December 1963.